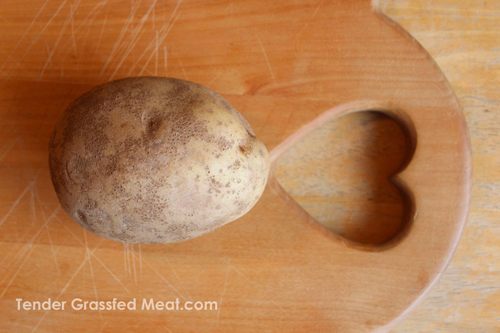 This humble potato could be turned into a gourmet delight by a lost traditional method. Many years ago, I used to barbecue for my parents and my aunt and uncle, on summer weekends. 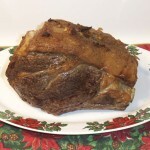 I used to make simple roasts on a Weber kettle, which turned out good, even back then. My uncle by marriage was a very wealthy dentist. He had grown up so poor that he had often been hungry, and his stomach had actually shrunk from hunger. He could only eat small quantities at one time, and was always hungry. While he was wealthy, he was very frugal, to be polite. He was usually friendly, but sometimes he would get very upset for reasons that no one else understood. One day, just after I finished cooking, and was about to put out the fire, he showed up with a potato clutched in his hand. He smiled and asked if he could use the fire. I was astonished, as my uncle had never been known to cook anything. I agreed, and watched with fascination, as he buried the potato in the burned down coals, carefully arranging each coal with the tongs as if he was painting a portrait. This procedure took a long time, until he was satisfied that the arrangement of the coals was perfect. “Don’t touch it!” He snarled, then walked off. Sometime later, he dug the potato out of the coals, and put it on a plate. It was burned totally black. “Is he actually going to eat that?” I wondered. Well, he did eat it, with nothing else. He broke the potato open, and slowly ate the inside of the potato, with an expression of pure bliss on his face. The rest of us watched in wonder, unable to understand why he was enjoying it so much. Being curious, I asked him if I could have a taste. His face twisted in the instant fury that sometimes came over him — “Get your own potato!” he shrieked. I backed off. The next weekend, I barbecued again, and he showed up with his potato again, after the cooking was over. He went through the same procedure, and blissfully ate the scorched potato as we quietly watched him. This happened week after week. I did not dare ask him for a taste. His potato antics became a subject for family discussion. Everyone agreed that the potato must taste terrible. But why did he go to so much trouble, and why did he enjoy it so much? One week, when he appeared to ask for permission to use the fire, I asked if he could make one for me. I braced for the explosion, but he smiled, and cheerfully agreed. He returned with another potato. When the potatoes were done, he placed my potato on a plate. It was burned black, as usual. The potato skin broke open at the touch of the fork. I tasted some of the inside, expecting it to taste burned and bad. I was wrong. It was wonderful, easily the best vegetable I had ever tasted. It was soft, hot, with a surprisingly complex and utterly delicious flavor, somewhat sweet and smoky. I began to eat it slowly, enjoying every bite. I tried many times to make potatoes like that, but they were never anything special. Nothing like the masterpiece he made. He had a knack, or he knew something, a way of doing it, that he never shared. I asked him a couple of times, but he would never answer. There is so much traditional cooking knowledge that we have lost, countless treasures that used to be passed down from generation to generation. They are worth saving. Kimchi, another traditional fermented Korean food. Some years ago, there was a small Korean grocery near my home. I wandered into it one day, and was fascinated by the traditional fermented foods it contained. There were beautiful jars of colorful fermented vegetables, called kImchi, not just Napa cabbage, but all kinds of vegetables. But my attention was drawn to glass jars of another condiment, in the refrigerator section, whose beautiful red color drew my eye. The labels were in Korean, which I do not read, but as I looked at the thick, gorgeous paste, with its deep color, I began to get hungry for it, even though I had never tasted it before. The owner, seeing my interest, told me this was gochuchang, which was a fermented paste of hot chili peppers, a special rice, and other ingredients, which were mixed and left to ferment in huge clay jars for a very long time, sometimes years. He said it was very spicy, but it kept people healthy. He said making it was a very old tradition in Korea, passed down from generation to generation. He pointed out many other fermented pastes to me, and explained how making these fermented mixtures was a very important tradition in Korea, one that went back to the very beginning of the Korean culture. I could not resist. I bought a couple of the jars, beautiful from the rich colors of the fermented paste, and used them as a cooking ingredient and as a condiment. The paste was very hot, but over time I came to welcome the heat. 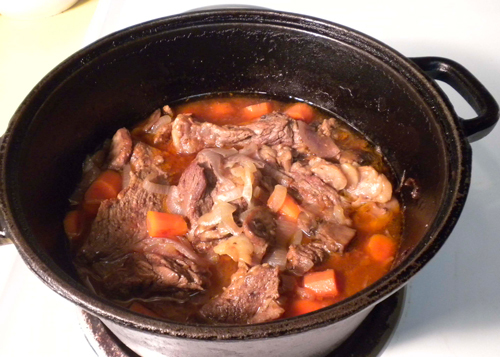 And it gave a rich, luxurious hot flavor to all kinds of stews, stir-fries, and braises. 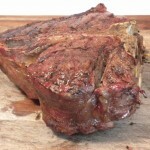 It was great in barbecue marinades. Yet my favorite use was to eat it uncooked, right from the jar, as a condiment. Sometimes I would just eat a teaspoon or two because it felt so good to me. I began to start doing this when people around me at work had colds or flus. And, for whatever reason, I did not catch those colds or flus when I regularly ate this wonderful gochuchang. Years passed, and I moved. I began to miss the benefits and taste of the wonderful fermented chili paste, so I planned a trip to the store to stock up. I was truly disappointed to find it was closed. I tried to find another source, but did not, and eventually forgot about it. Many years later, when I studied the food wisdom contained in the website of the Weston A. Price Foundation, I learned that traditional fermented condiments had many health benefits, and were used by traditional peoples. I remembered gochuchang, and decided to do a thorough search and find it. My search ended in another Korean grocery store. There were no jars of gochuchang. When I asked for it, I was led to a selection of solid plastic tubs, colored red. They were not refrigerated. I asked for gochuchang in glass jars. There was none. These plastic tubs were all there was, and I was told the same was true in Korea. I began to feel some real doubt, but I bought the tub which the clerk told me was the best and most traditional. At home, with a mixed feeling of anticipation and dread, I tasted this “modern” gochuchang. At first, it seemed to taste good, but I soon became aware of an unpleasant texture, a slight but nasty aftertaste, and a somewhat repulsive hot flavor. It tasted nothing like the gochuchang I remembered. And the only feeling I got from it was a slightly scorched mouth, and a slightly upset stomach. Maybe some of the other chemical brands taste better, but I am not inclined to try them. I did some research on the Internet, and found out that traditional Korean condiments were being made in a much quicker and cheaper way, with most of the ingredients from China. Instead of placing the ingredients in a clay jar to ferment for many months, or even years, chemicals were used to achieve quick “fermentation,” and factory ingredients and flavors were added to the mix. No matter where I searched, I could not find the traditional, naturally fermented paste. One day, I talked with a filmmaker from Korea, who explained to me that all the traditional condiments were being made by chemical means, in factories. His mother still made the traditional fermented pastes, and he and his brother would drive to her farm each year to pick some up. He said that when her generation was gone, no one would be left who even knew how to make them. I find this sad beyond words. These naturally fermented pastes, made from traditional local ingredients, are disappearing, replaced by inferior factory products made possible by chemicals and technology. Products that have no soul, no tradition, and do not contain the traditional mix of nutrients relied on by our ancestors. This has not only happened in Korea, but is happening all over the world . If we do not take action to preserve traditional foods, we will lose them, and their many benefits.